We are a full service website design and internet marketing company located in the Tampa Bay area. We do custom websites, templates, SEO, lead generation, email campaigns, social media management, and more. 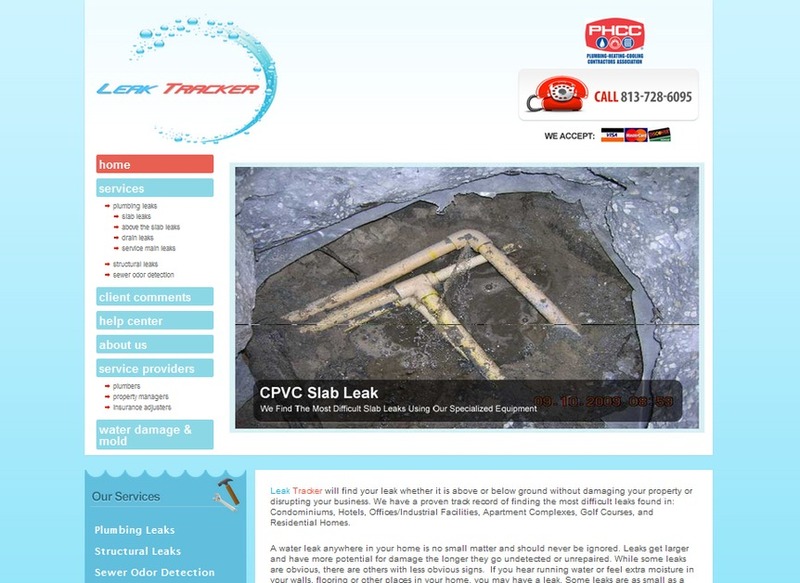 This is a screenshot from our latest redesign of Leak Tracker, a Tampa based leak detection company.